The role of LSB is to coordinate and initiate partnership working between the public, private and voluntary sectors for the benefit of Flintshire people and communities. The LSB includes senior officers from all those sectors and a representative from the Welsh Government. The LSB is responsible for producing and reviewing the Community Strategy which sets the key strategic priorities for the partnership. The FLVC Chief Officer sits on the LSB and is the main contact. The Compact is a three-way partnership between the Local Authority, the Health Board and the Voluntary Sector. The aim of the Compact is to ensure that the role of the voluntary sector is properly understood by public services and that opportunities to work in partnership are exploited. The Compact also oversees the implementation of the Funding Code which aims to ensure that voluntary groups are treated fairly by public funders. It provides a forum for members to raise issues and share information which is of mutual interest. The Chief Officer and Chair of FLVC sit on the Compact with other voluntary sector members and meet with the Chief Executive and Leader of the County Council and a senior manager from the Health Board. The FLVC Chief Officer is the main contact. This partnership oversees the planning and delivery of health and social care services and promotes a partnership approach. It is responsible for the production and review of the Health and Social Care Strategy. Local Authority, Health and the Voluntary Sector are all represented. It has a number of sub groups which report on specific service areas. The Health and Social Care Facilitator is the key contact in FLVC for any issues relating to health and social care services. The CYPP oversees the planning and delivery of services to families, children and young people and promotes a partnership approach where this is most effective. It is responsible for the production and review of the Children’s Plan. The CYPP oversees the commissioning of services via the Families First (Cymorth) Programme. A number of sub groups report to the CYPP on specific service areas. FLVC’s Chief Officer sits on the CYPP. The Voluntary Youth Services Facilitator is the key contact within FLVC for this area of work. The aim of the Flintshire Regeneration Partnership is ‘to regenerate Flintshire, taking a balanced and sustainable approach to improving the wellbeing of communities through social, physical, economic and environmental improvements’. Its membership spans the public, private and voluntary sectors. It is responsible for the production and review of the Regeneration Strategy 2009-20. FLVC’s Information and Advice Officer sits on this partnership. The 1998 Crime and Disorder Act and the subsequent amendments by the 2002 Police Reform Act require North Wales Police, Flintshire County Council, the North Wales Police Authority, the Flintshire Local Health Board and the North Wales Fire and Rescue Service to work together to improve Community Safety. Together these organisations make up the statutory Flintshire Community Safety Partnership. To be effective the Partnership but they need to work with many other organisations such as the Probation Service, Housing Associations, and many organisations in the voluntary sector and in the business sector. The Joint Action Group (JAG) is the operational group reporting to the CSP and where most voluntary organisations get involved. FLVC does not have a representative on this partnership. 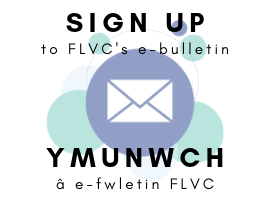 FLVC services and convenes a number of forums and networks which give voluntary and community organisations the opportunity to share their experience, ideas and concerns and to feed into consultations and service planning processes. Voluntary sector representatives who sit on partnerships and planning groups can feed back to the wider sector and listen to their comments. This is a generic Forum open to all voluntary and community groups. The Forum generally meets twice a year and focuses on current issues of concern to the voluntary sector. Participants can raise issues which they want taking to the Compact meeting and also get feedback from Compact members. It gives public sector representatives the chance to address and listen to third sector organisations. The main contact is the FLVC Chief Officer. 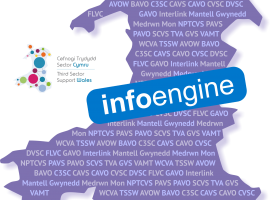 This network is open to both statutory and voluntary groups who provide health and social care services and activities predominantly for adults. 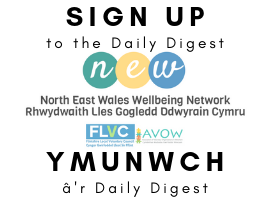 FLVC distributes information through an e-group on a weekly basis, produces a newsletter and convenes the Wellbeing Network meetings four times each year. The Health and Social Care Facilitator is the key contact for this area of work. The Network and Forum targets all voluntary and community groups who support families children and young people. Information and news is distributed via an e-group, a monthly newsletter and regular forum meetings. Learning and development needs are highlighted and training can be provided to meet those needs. Public sector partners attend the forum to inform the sector about their work and to find out about projects and services delivered by voluntary groups. The Voluntary Youth Services Facilitator is the main contact for this area of work. This Forum is for the trustees of community halls to come together to share information, ideas and problems. Issues of common concern can be taken to relevant partnerships. Public sector partners can attend forum meetings to inform members of funding opportunities or new regulations. The Forum meets four times a year and is hosted by different community halls. FLVC’s Information and Advice Officer is the main contact. This forum focuses mainly on mutual support and promoting good practice. It gives those people responsible for recruiting and managing volunteers an opportunity to get together and share their experience, ideas and issues. Learning and support needs can be picked up and new trends in volunteering identified. Feedback is provided from regional and national meetings and local concerns, ideas and good practice can be identified and raised in other forums. The Volunteer Centre Team Leader is the key contact for this area of work.